Ready to tackle any training session whether hitting the gym, the road or on-field sessions make sure your equipped to perform by pulling on the Under Armour Raid 2.0 1/4 Zip L/S Training Top. This stretch 1/4 zip has a loose fit which helps to offer the wearer full range of movement for an array of activities, from running, hitting the gym or just general training. 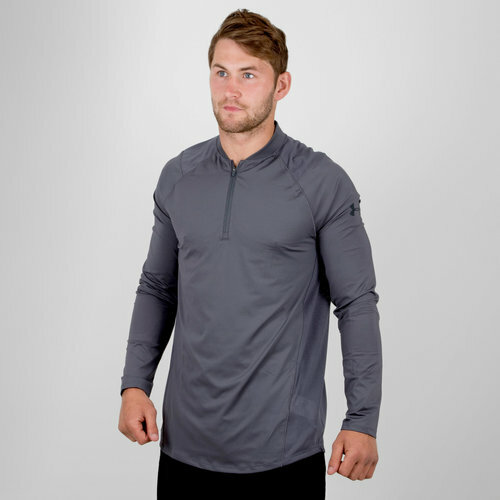 Utilising Under Armour Tech fabric which has a soft finish for unrivalled comfort this 1/4 zip will fit over a t-shirt and under a jumper depending on the conditions and your needs.